In the early 1960s, few women occupied high positions in government, fewer in the field of economics and fewer still who didn’t have a post-graduate degree. 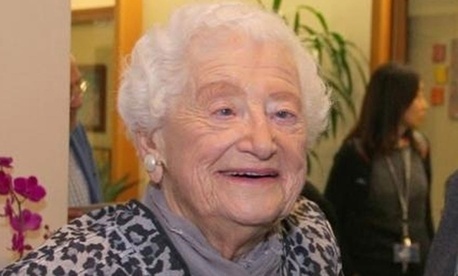 Dorothy Rice, who died late last month at age 94, was all three. As captured in recent Washington Post and New York Times obituaries, she played a major role in the 1965 creation of Medicare and paved the way for the 1998 tobacco industry settlement of the decades-old cancer wars. Rice’s jobs as a numbers and policy analyst took her to the Social Security Administration, the National Center for Health Statistics, the Public Health Service and the Labor Department. It was while at SSA that she wrote a seminal study on aging that threw light on the reality that half the population 65 or older had no health insurance and, in many cases, no money to purchase a product that is more needed by the elderly than the young. In the 1980s, while at the University of California at San Francisco, Rice and colleagues conducted groundbreaking research documenting the cost of smoking-related illnesses. Her calculations eventually figured in the settlement agreement in which tobacco marketers agreed to pay $206 billion to states over 25 years. When Rice studied at the University of Wisconsin, she took courses with noted economists Milton Friedman and Edwin Witte and received encouragement from her late brother, Joseph Pechman, who would go on to direct the economics program at the Brookings Institution. The rest, you can be certain, she did on her own.